The race to produce a new era or reusable and cost-effective spacecraft has been turning out some rather creative and interesting designs. 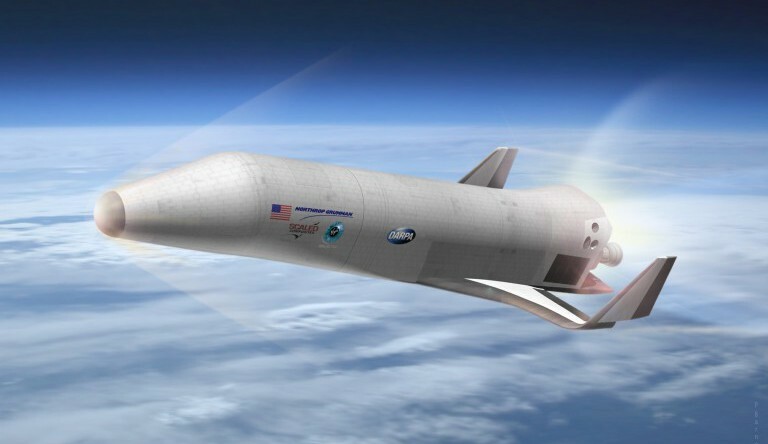 DARPA’s XS-1 Spaceplane is certainly no exception. Developed by Northrop Grumman, in partnership with Scaled Composites and Virgin Galactic, this vehicle is a major step towards producing launch systems that will dramatically reduce the costs of getting into orbit. Key to DARPA’s vision is to develop a space-delivery system for the US military that will restore the ability of the US to deploy military satellites ingeniously. In a rather ambitious twist, they want a vehicle that can be launched 10 times over a 10-day period, fly in a suborbital trajectory at speeds in excess of Mach 10, release a satellite launch vehicle while in flight, and reduce the cost of putting a payload into orbit to US$5 million (a tenth of the current cost). Under DARPA contracts, Boeing, Masten Space Systems, and Northrop Grumman are working on their own versions of the spaceplane. The Northrop plan is to employ a reusable spaceplane booster that, when coupled with an expendable upper stage, can send a 1360 kgs (3,000 pounds) spacecraft into low Earth orbit. By comping reusable boosters with aircraft-like operations on landing, a more cost-effective and resilient spacecraft results. In flight, the Northrop version of the XS-1 will take advantage of the company’s experience in unmanned aircraft to use a highly autonomous flight system and will release an expendable upper stage, which takes the final payload into orbit. While this is happening, the XS-1 will fly back to base and land on a standard runway like a conventional aircraft, refuel, and reload for the next deployment. 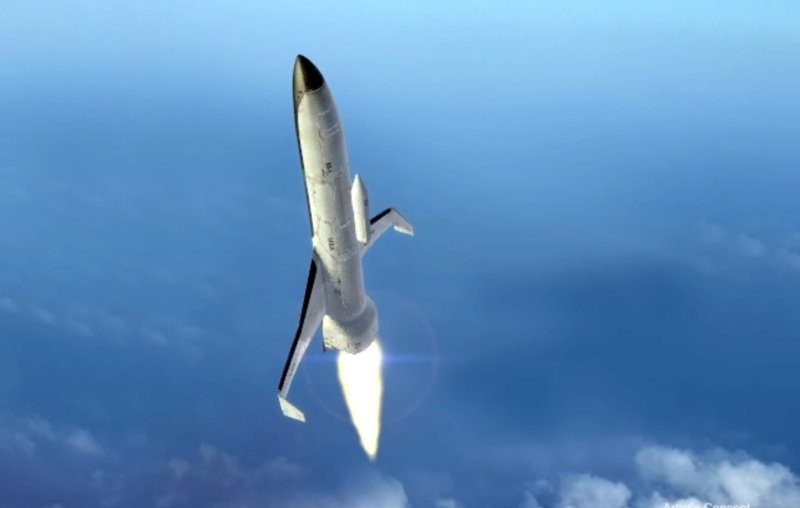 Northrop is working under a $3.9 million phase one contract with DARPA to produce a design and flight demonstration plan that will allow the XS-1 to not only act as a space launcher, but as a testbed for next-generation hypersonic aircraft. 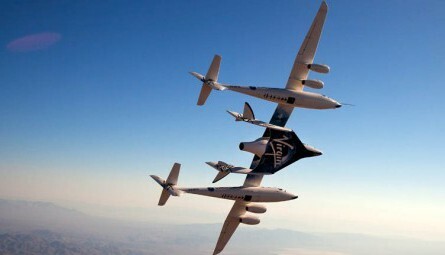 Meanwhile Scaled Composites, based in Mojave, will be in charge of fabrication and assembly while Virgin Galactic will handle commercial spaceplane operations and transition. Our team is uniquely qualified to meet DARPA’s XS-1 operational system goals, having built and transitioned many developmental systems to operational use, including our current work on the world’s only commercial spaceline, Virgin Galactic’s SpaceShipTwo. We plan to bundle proven technologies into our concept that we developed during related projects for DARPA, NASA and the U.S. Air Force Research Laboratory, giving the government maximum return on those investments. Regardless of which contractor’s design bears fruit, the future of space exploration is clear. In addition to focusing on cutting costs and reusability, it will depend heavily upon public and private sector collaboration. As private space companies grab a larger share of the space tourism and shipping market, they will be called upon to help pick up the slack, and lend their expertise to more ambitious projects. Examples abound, from putting satellites, supplies and astronauts into orbit, to landing settlers on Mars itself. And who knows? 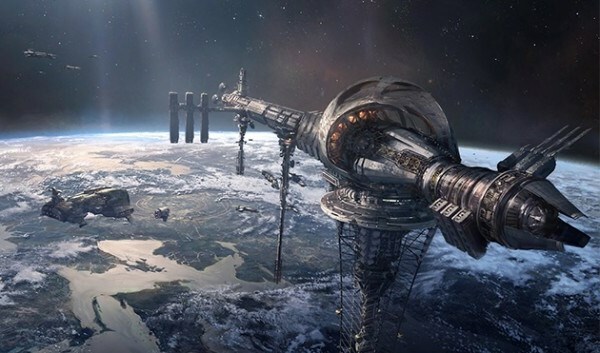 In the foreseeable future, NASA, Russia, China, the ESA and Japan may also be working hand-in-hand with transport and energy companies to make space-based solar power and a space elevator a reality! News from Space: MOM Arrives!